After a tour in Viet Nam and successfully navigating a career in the food industry, from customer service to national sales manager, H & S Associates, now known as H & S Ingredients, Corp. was founded by Joseph D. Hamel. Success between H & S and its partners can be attributed to the sharing of market understanding, product knowledge, honesty, and integrity. The experience of our staff and our food complex allies offers an opportunity to resolve questions quickly and completely. Continuous performance during market volitivity is a measure of our durability and skill. is to provide a most efficient & reliable supply chain service to our customers while building a trustful and confident relationship. 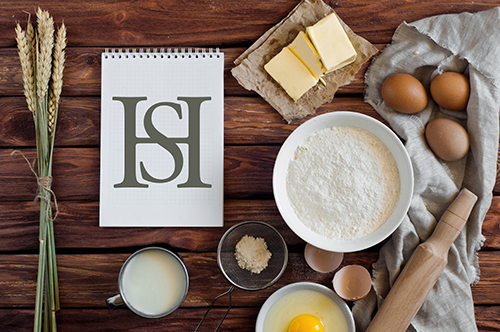 H&S has been in the ingredient industry since 1983. Our experience and history have allowed for us to be able to source thousands of ingredients from all over the world. At H&S, we sell to commercial, industrial, food & feed industries. This and the relationships with our trading partners allows us to be highly competitive our pricing. We strive at providing the very best service to all of our customers with fast response times & logistical solutions. We also provide market insight on global commodities to help buyers in making strategic decisions.